The Junior League of Tulsa is pleased to announce its seventh annual Mentorship Luncheon—an occasion to honor the impact of mentorship and scholarship in developing exceptional women leaders. 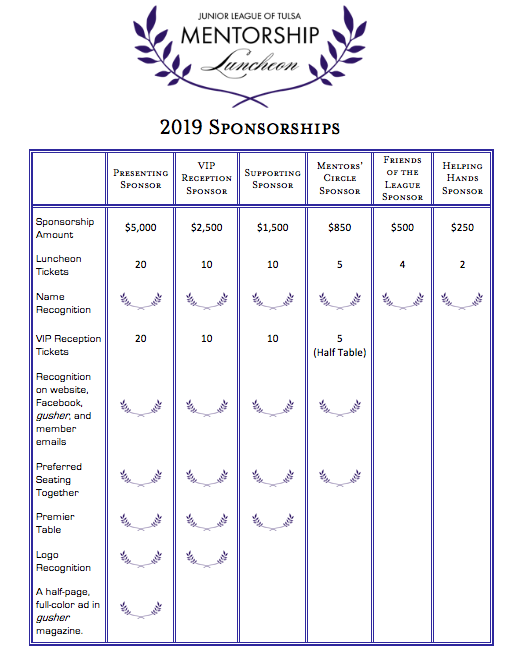 The proceeds from the luncheon will help us fund $10,000 towards our future scholarship program and support our mission of training and developing women leaders and highly effective League volunteers. You may also make a donation to the Mentorship Luncheon here.